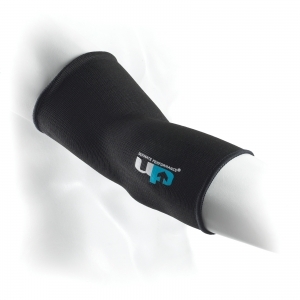 Comfortable Support for sprained , stiff or aching elbows. Lightweight advanced knitted technology firm even support whilst maintaining a full,natural range of movement. Latest edge trim technology helps prevent slippage and reduce wear. Tailored design ensures all-day comfort. recommended for weak, stiff or aching elbows, mild sprains, strains and tendonitis.